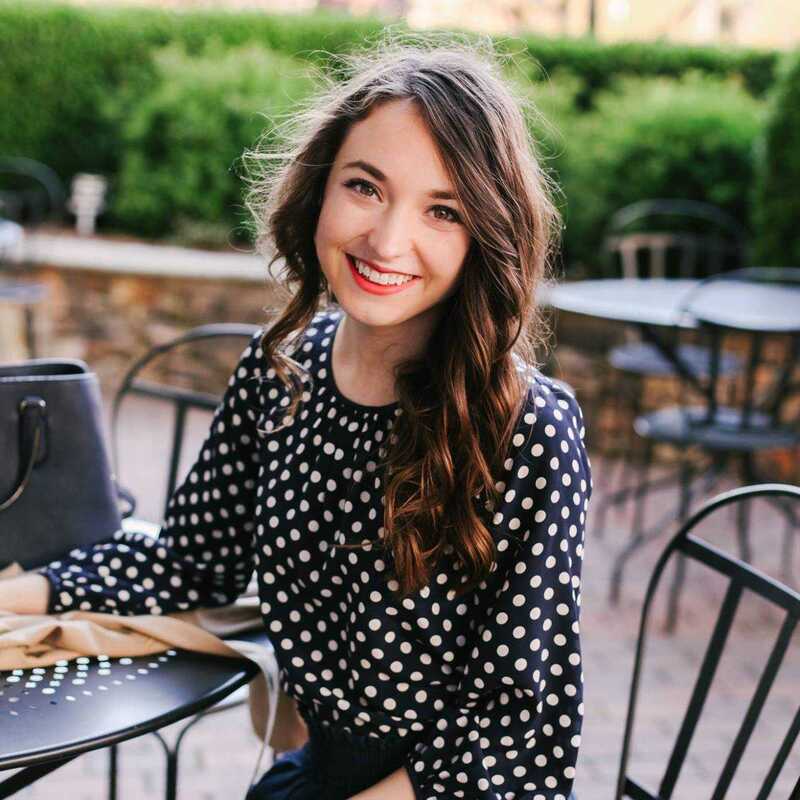 Here is April's edition of everyday outfits! In case you missed them here are February and March's outfits. As I have said in past posts, these are just some more simple outfits that don't make it to a full blog post. 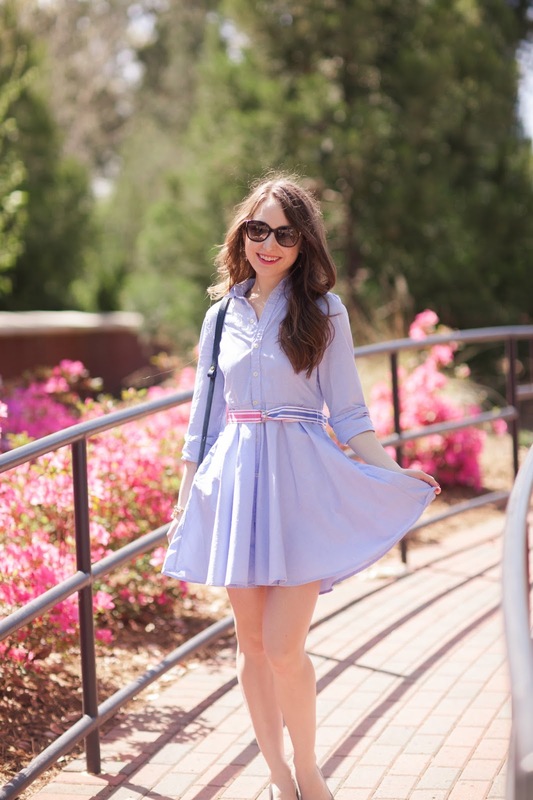 I have always loved a good sleeveless shirtdress (like the ones I wore in this post and this post from last summer) but when I saw this one, I knew I should add a sleeved version to my closet. I lucked out and found this on sale in the kid's section of Ralph Lauren at Belk! For sizing reference: if you are also around 5'2", I'm wearing a 14. There are also some very similar dresses available in adult sizes here and here. 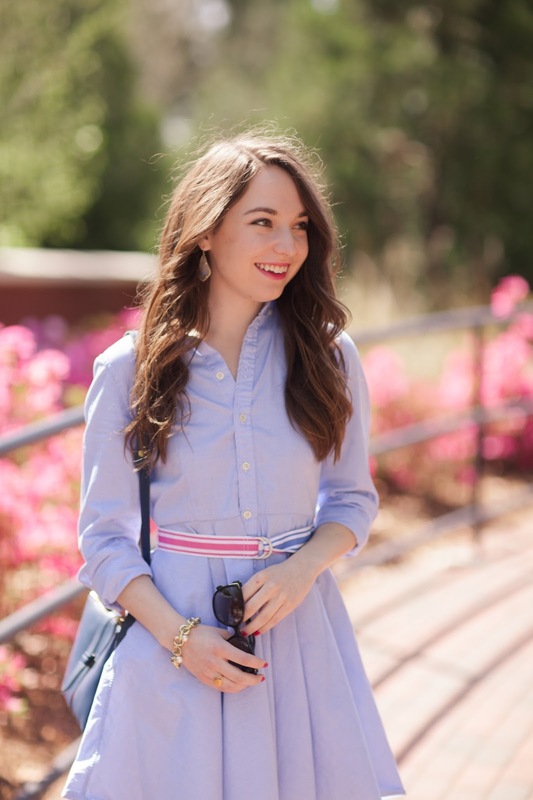 Taking these photos was also so much fun, because one of my favorite parts of spring in North Carolina is when the azaleas bloom. We had bushes of several colors around my house growing up, and they are spread around Charlotte as well. They are so pretty and I think make the best photo backgrounds! Graduation dresses have been on my mind lately. I graduated from college a year ago, and we have several interns in my office that are all about to graduate. 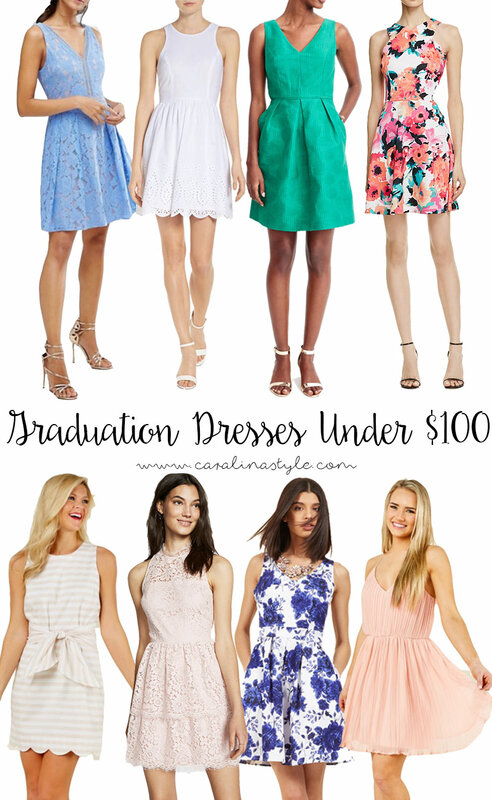 So I thought I would round up a few dresses that I think would be perfect for graduation, that are all under $100! There are lots of fun off-the-shoulder and one-shoulder styles of dresses out right now, I don't think I would want to wear any of those under a graduation gown. There are also some gorgeous midi and maxi length dresses out there, but I don't think that would quite look right with a graduation gown either. So these styles have all been picked with that in mind. 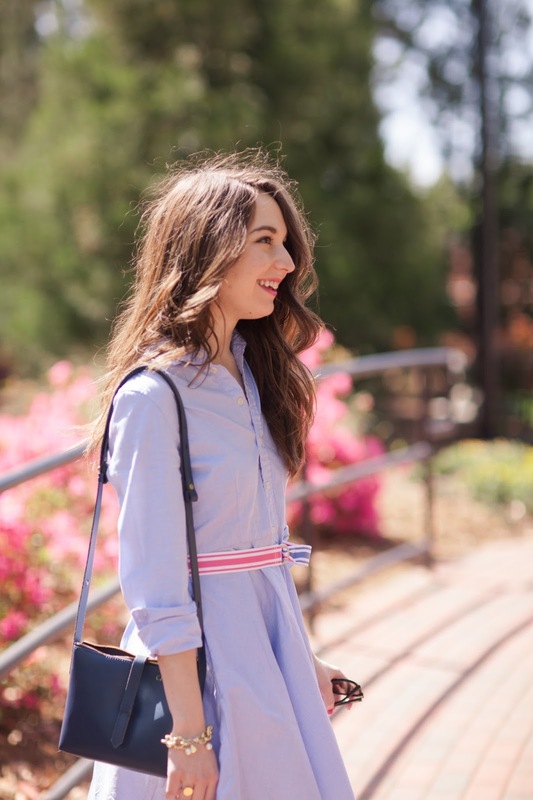 And if you are looking to splurge a little on your graduation dress: I would suggest looking at Lilly Pulitzer, Lauren James, Tuckernuck, and Draper James! 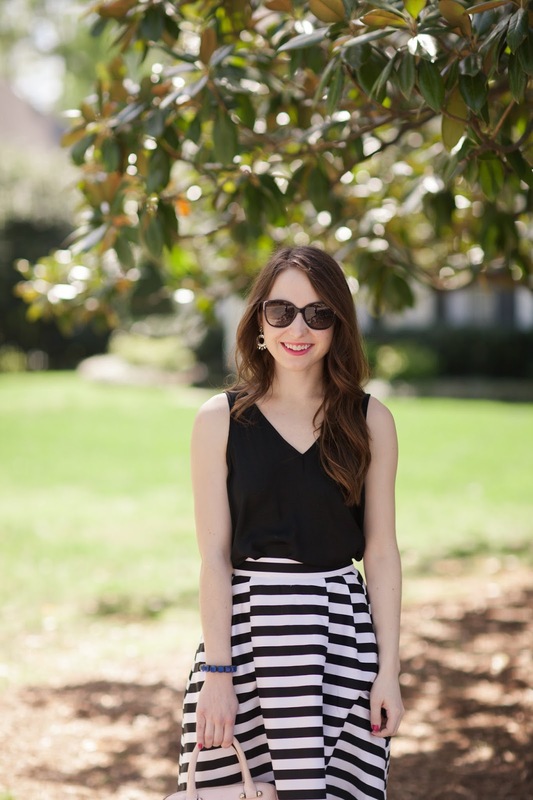 I'm so excited to finally get this skirt into an outfit post! It was actually a Christmas present, and I really thought I would have worn it with a light sweater and tights or something in the winter. But I never thought anything looked right with it for cold weather, so here it is styled for spring! 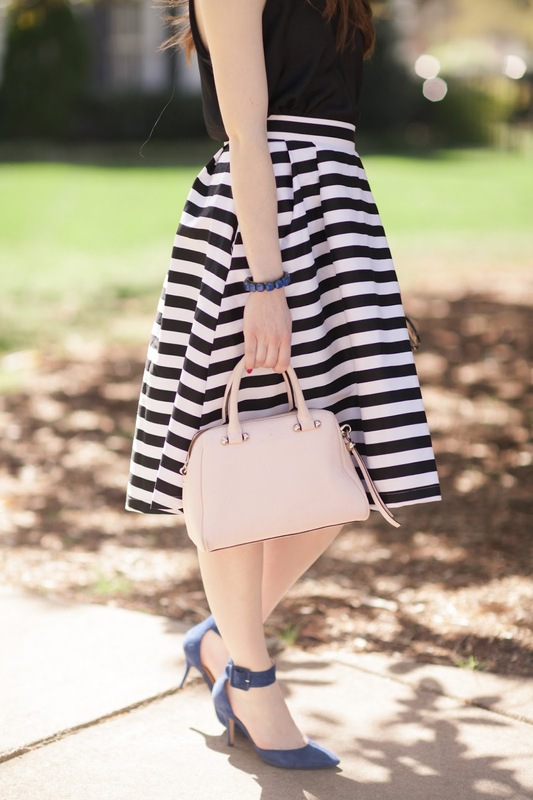 I have grown a little collection of midi skirts over the last two years or so (see this post, this post, and this old post), they are just so much fun to style and to wear. I just love how they are so feminine and they really dress up any top you pair with them! I hope everyone's Easter weekend is off to a great start! I have rounded up a few sales that are going on this week, happy shopping! 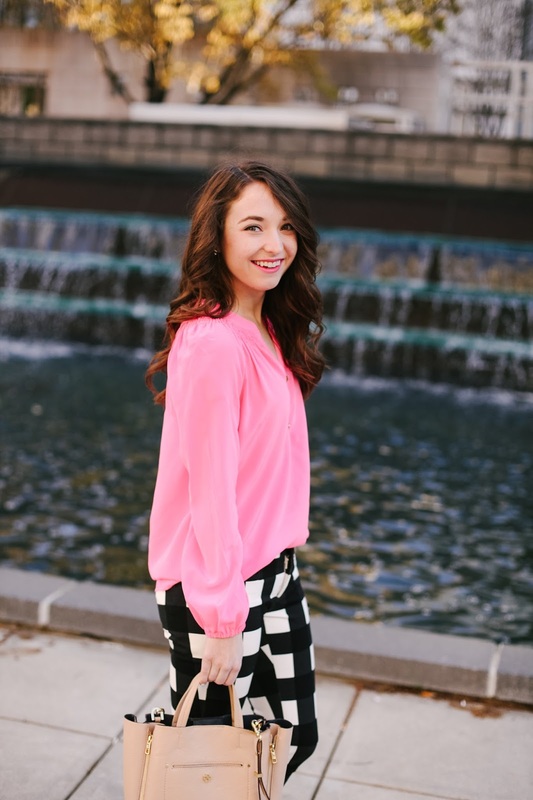 Ann Taylor- extra 50% off with code "SPRING50"
Kate Spade- extra 25% off with code "CAKE"
Madewell- extra 30% off with code "DREAMBIG"
Since I started working full time, I have been loving some printed work pants. 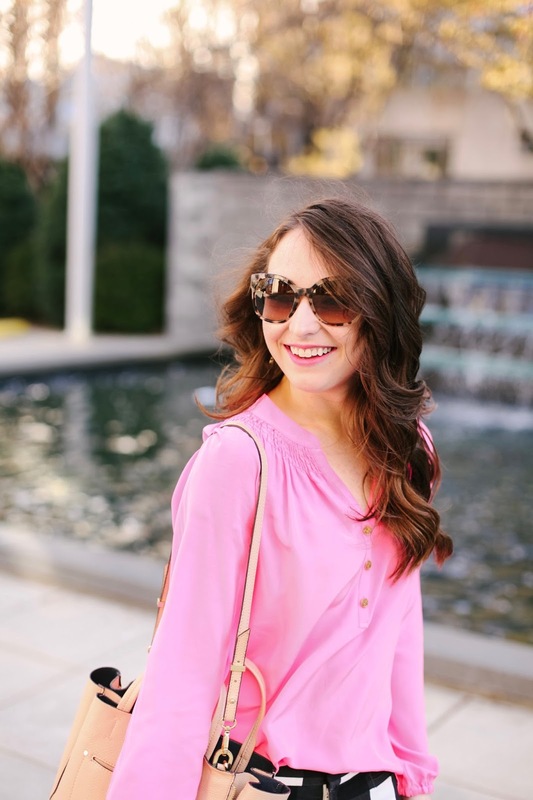 Back in February, I had a styling session with Banana Republic at SouthPark that was so much fun! 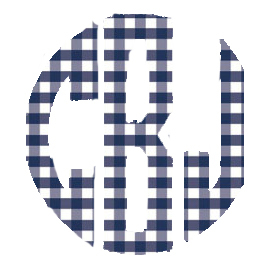 I tried out several different fits from the petite section, and ended up loving the Sloan fit in this gingham print. I always struggle finding pants that fit, I think most styles are too long for me. And I now know that the petite section at Banana is the place to look for them! 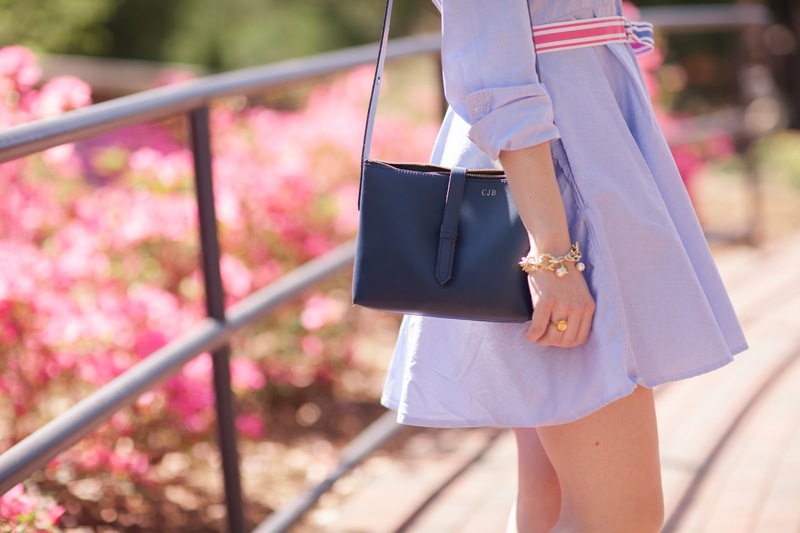 There is also a style from the petite section of Loft that works well for me too. 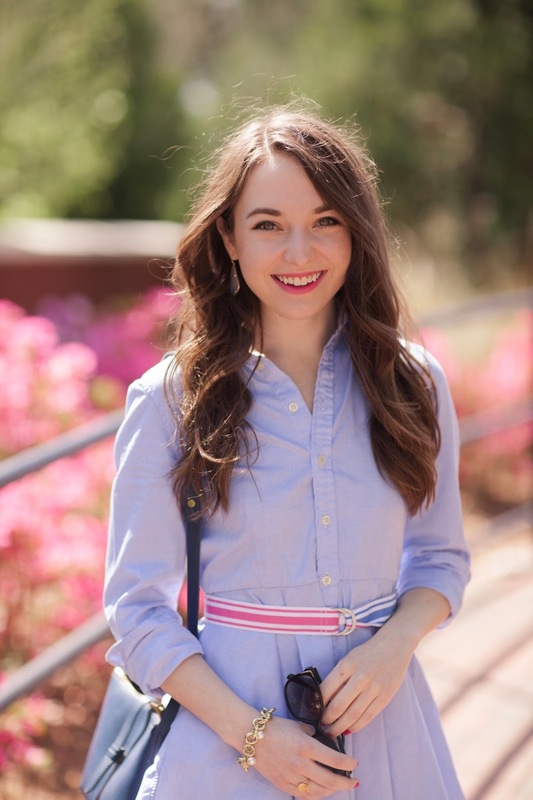 I may put together a petite workwear post with some more info, and styles I love sometime soon!